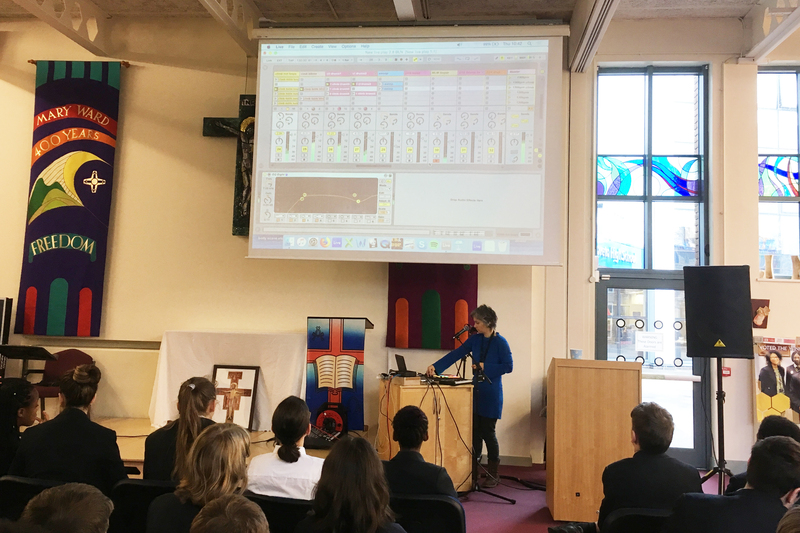 On Thurs 29th Nov, Caro C, leading DJ, electronic music artist, sound engineer and music facilitator came to Loreto to demonstrate the new music software Ableton and the Push controller. 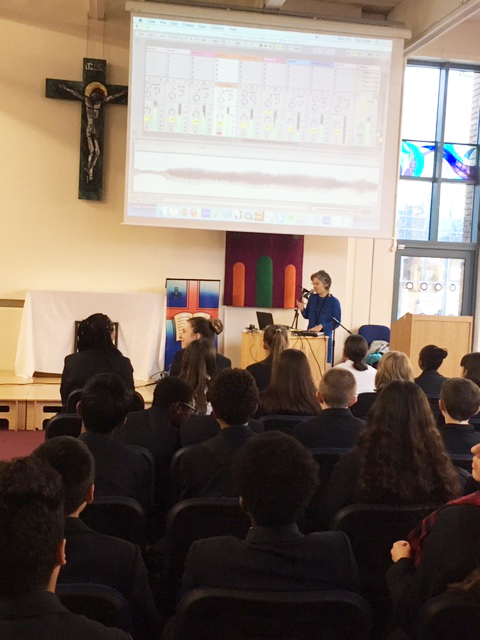 She gave a live performance of loops, beats and vocal samples to selected musicians from Year 8 and to the Year 10 GCSE and BTEC groups. It was a fascinating insight into how electronic music is put together and students had the opportunity to ask questions, and apply to be part of a larger project in the Spring which will culminate in a day’s performance and interview on Reform Radio. We look forward to being part of the full project in January.